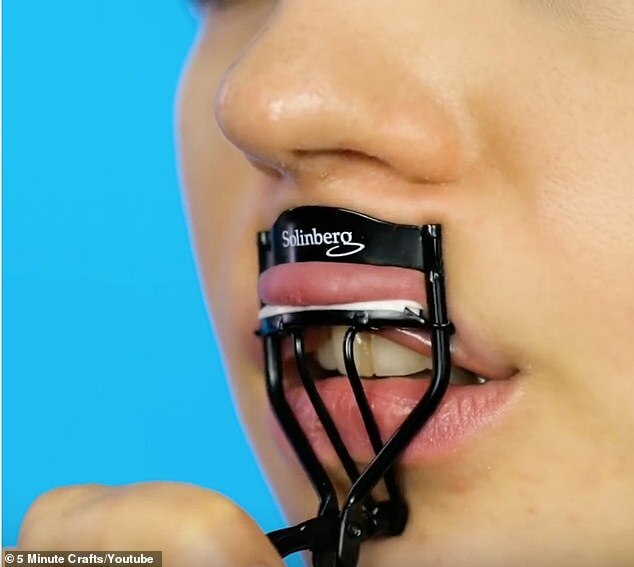 A YouTube channel has been criticised for creating ‘ridiculous’ hacks that no one needs to know. 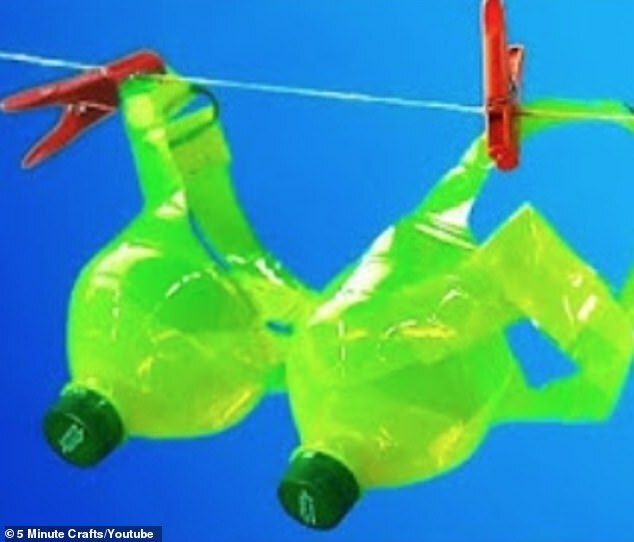 The US-based channel, 5-Minute Crafts, boasts 51 million subscribers and specialises in sharing hints and tips on how to make life easier. 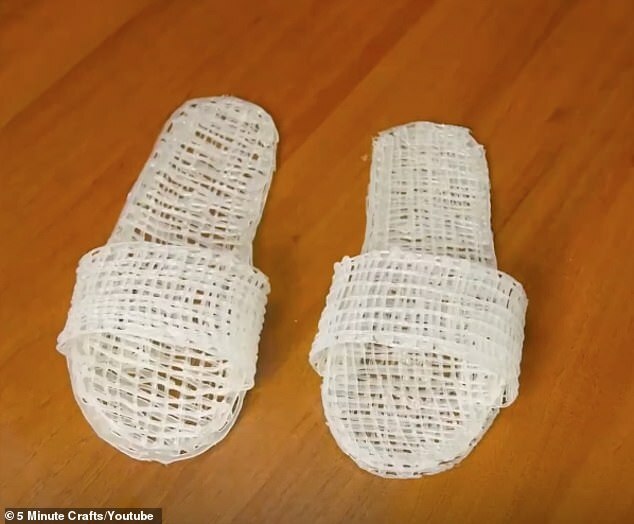 While many of the videos fit the bill, some have been criticised for offering up projects that are anything but practical – including how to make a chair our of jeans and sandals out of sanitary pads. 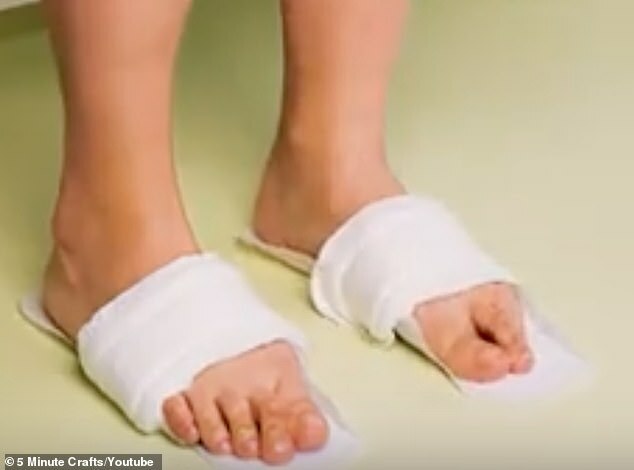 Viewers were quick to question why they had created such clips, with one commenting on the sanitary pad video: ‘Totally NO ONE will notice you have pads in [sic] your feet at a pool. 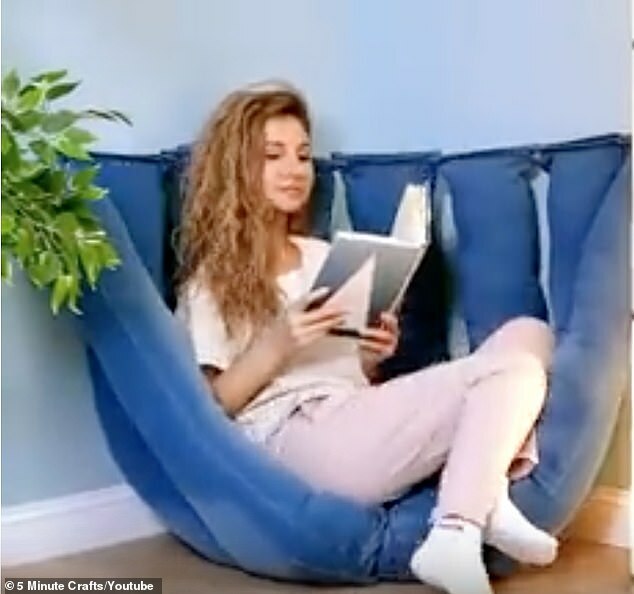 One of the most bizarre examples was a way to make a ‘comfy floor chair’ out of old pairs of jeans that was included in a video titled 41 Awesome DIYs for Your Home. The tip suggested stuffing the trousers with foam and stapling them together at the ankles. Many pointed out staples were not strong enough to hold together jeans. Others expressed their frustration about four pairs of identical jeans costing more than buying a regular chair.